A resurgence of interest in RDRN (formerly known as the Alberta Natural History Society) occurred in the early 1970’s. A renewed interest in the natural environment, as well as a number of continuing issues such as opposition to preservation of the Gaetz Lakes Sanctuary, the construction of the Dickson Dam, and proposed developments in the national parks and support of new policies on the Eastern Slopes helped to rejuvenate the Red Deer organization. In 1970, representatives from the Alberta Natural History Society attended the meeting in Calgary that resulted in the formation of the Federation of Alberta Naturalists (FAN, later Nature Alberta). The Red Deer-based group worked closely with the provincial association on many of its projects and initiatives. Several ANHS members held executive and lay committee positions with FAN. In 1976, because of increasing confusion over the two societies’ names, the Alberta Natural History Society was renamed the Red Deer River Naturalists. The new name was proposed by Fred Schutz. The RDRN Logo was designed by Eldon Neufeld. 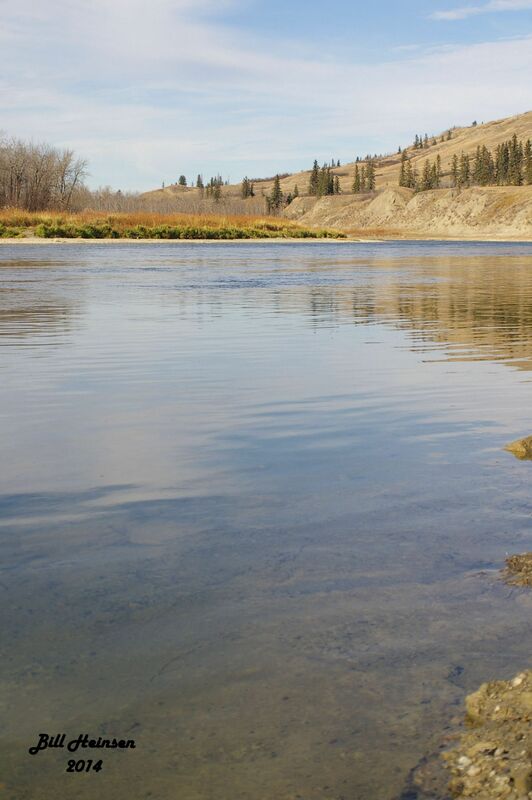 Red Deer River at Garrington Bridge. In the early 1980’s after the Province of Alberta offered the City of Red Deer Heritage Savings and Trust money for a river valley park, the Red Deer River Naturalists made sure they were intrinsically involved in the planning process. The organization wanted as much of the park as possible to be left in a natural state. After more than forty years of provincial indifference following the death of J. J. Gaetz in 1938, the proposed park offered the opportunity to once and for all officially protect the Dominion Bird Sanctuary established in 1924. During the Waskasoo Park planning process, RDRN invited the park planners, City Recreation and Parks Managers and staff, the Mayor, Councillors, and the public on outings so they could see and experience the natural wonders of the Gaetz Lake Sanctuary and other natural areas along the river valley for themselves. Many accepted the offer. This proved to be an excellent opportunity to educate decision makers. At the time the City of Red Deer Recreation and Parks Department was very pro-recreation; their vision of parks was an Edwardian one: manicured lawns with carefully arranged trees. RDRN members had a different vision. 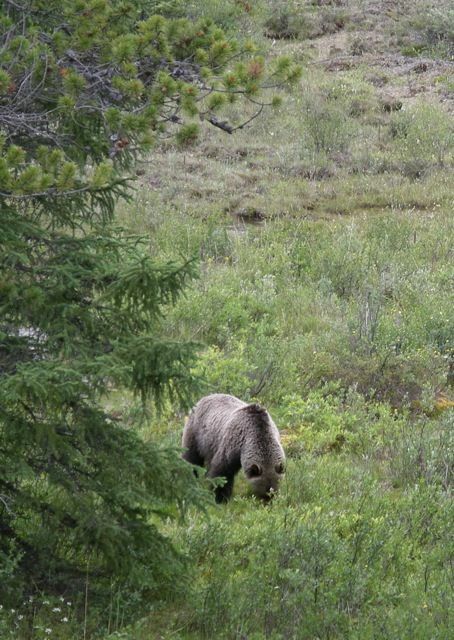 The group helped identify special ecological areas and pushed for connected natural wildlife corridors throughout the proposed park. In ecologically sensitive areas the “onion skin” approach was proposed: a highly protected inner core, a partially protected outer core, a buffer zone, and then developed areas. Mackenzie Trails section of Waskasoo Park, Red Deer. Copyright 2012 W. Heinsen. 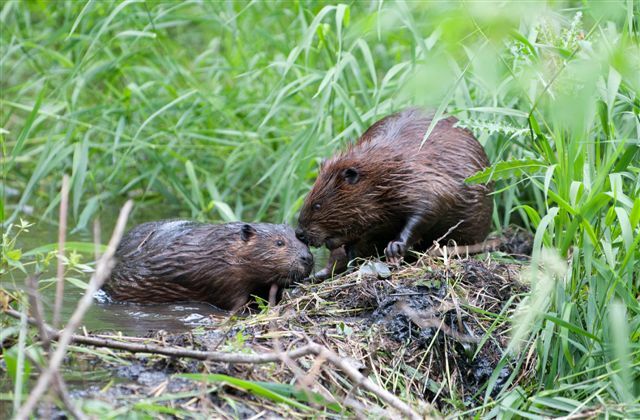 When the interest of some groups and organizations waned during the Waskasoo Park planning process, RDRN members on the various planning committees and at public hearings relentlessly hammered away at the need to preserve as much natural habitat as possible. For instance, the group vociferously opposed a golf course proposed for the Heritage Ranch area. 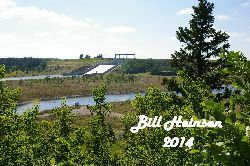 When the golf course was moved to an abandoned gravel mining area at the other end of the Park, RDRN convinced the City to leave the trees along the Red Deer River rather than build the golf course to the river’s edge. The City didn’t think bike paths would be popular. RDRN pushed for bike paths and walking trails and helped design them to be as environmentally sensitive as possible, meandering around trees rather than removing them. Members worked and educated the City staff on the need to leave tree snags and stumps for cavity nesters and their prey. The City was very cool toward the idea of a Nature Centre; they proposed an information kiosk and bathroom. The City felt RDRN members were grossly exaggerating the popularity and the need for such a facility where, for instance, 80 people could meet. Members continued to push at every turn for the Nature Centre. Fall outing. Copyright 2000 E. Ford. 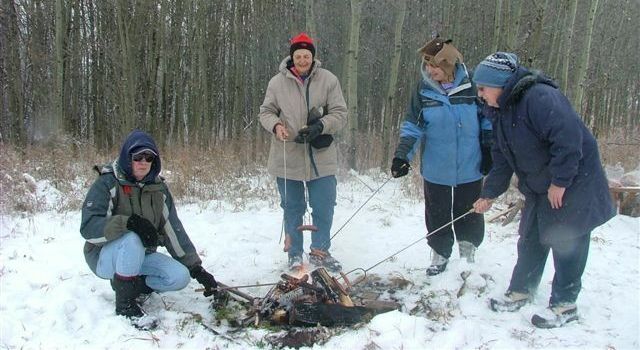 Winter weiner roast. Copyright 2008 W. Heinsen. The Kerry Wood Nature Centre opened in 1986. It was a very proud event for the group who, with the leadership of Kerry Wood, had served as the stewards of the Gaetz Lake Sanctuary since J. J. Gaetz’s death, officially since 1950. Today the Kerry Wood Nature Centre, welcoming as many as 75,000 visitors per year, stands for education and the preservation of the Sanctuary. Many received a tour from the dedicated core of interpreters and even if they didn’t it would be a safe bet that each visitor left a little different person than when they arrived: more curious, more in awe, more committed. The Kerry Wood Nature Centre serves as a home for RDRN. The 2,500 acre Waskasoo Park is one of the most extraordinary parks any city could hope to have. The planning process employed serves as an example of how planning should be done. The public was involved from the beginning and as a result citizens of Central Alberta are very proud and express a strong emotional attachment to this park in the city. The Red Deer Regional Planning Commission and the City of Red Deer deserve a great deal of credit. Although some politicians who had opposed the idea initially were quick to jump up and take credit a few years after the fact, the very successful Biological Mosquito control program in Red Deer was the result of five years of RDRN lobbying the City to try a new approach, and eliminate the increasingly futile chemical spray applications. Michael O’Brien and others spearheaded the idea by prodding the City bureaucracy in 1982 to try the biological approach using Bacillus thuriniensis israellensis (Bti) which selectively kills mosquitoes not their predators. RDRN targeted those City Councillors they felt could be swayed with background information and an educational campaign. When D-Day finally arrived, the RDRN president made a presentation to City Council encouraging them to try the biological approach. Council decided to experiment with the Biological program. 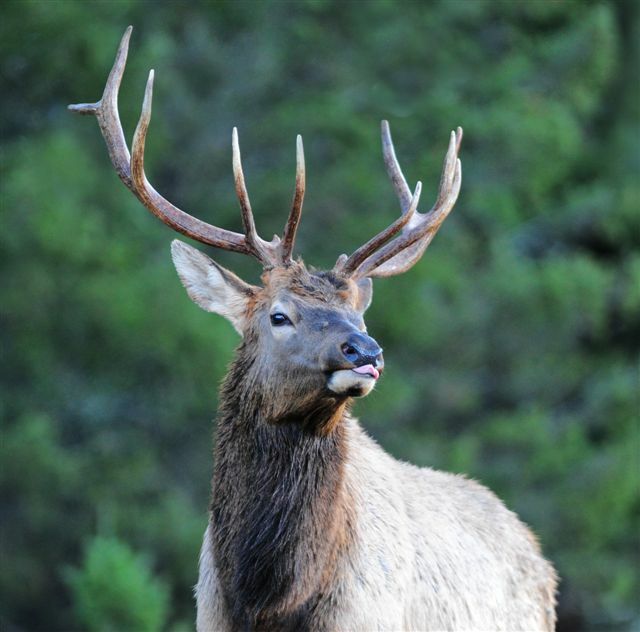 Fortunately, during the first two years of the program, Red Deer’s summers were unusually dry which helped biologists get the program rolling successfully. Conditions allowed them to add additional fresh water predators, gather research on local conditions and tinker with the methodology. The biological mosquito control program has since attracted international attention for Red Deer. The program allows citizens of Central Alberta to enjoy and use the extraordinary Waskasoo Park to its fullest. Another benefit of the program is the scientific data that is collected in the treatment zone. Because of the program Red Deer, has extremely accurate maps of every wetland and pool in the treatment area and detailed species inventories including micro-biotic life. This kind of data will be extremely useful for local planning as people once again come to realize the need for creative approaches to preserving habitat in the urban setting. June and Ward Beaver at the Ellis Bird Farm. In 1978, Charlie Ellis, a local farmer, approached members of the RDRN executive about negotiating a deal with Union Carbide to protect the sanctuary he and his sister had established on their farm for the mountain blue bird (Scalia sialis) and other native cavity nesters. Three members of the executive, with the help of a Red Deer lawyer, entered into legal negotiations with Union Carbide that lasted a year and a half. The agreement worked out with the farmer was one of the stipulations included in the Energy Resources Conservation Board approval hearings for the plant and it ensured the extraordinary accomplishments with the mountain blue birds would continue well into the future. Earlier, RDRN had opposed construction of a Novacor Plant in the area, feeling the already industrialized Fort Saskatchewan was a more appropriate location. When the second plant, Union Carbide was proposed, the RDRN members who chose not to oppose it felt that once the ethane pipeline was constructed from Empress to Joffre there was little question about a second plant coming on stream. The decision to not oppose the second plant and make a deal with Union Carbide was not unanimously endorsed by the Executive and RDRN lost three very dedicated members over the decision. The Ellis Bird Farm was created in 1980. Habitat Stewardship Program Copyright 1997 W. Heinsen. In 1987 and 1988, RDRN was instrumental in reviving an Alberta Fish and Game program used since the 1960’s, the Habitat Steward Program. Alberta Government Telephones kindly agreed to co-sponsor the program. 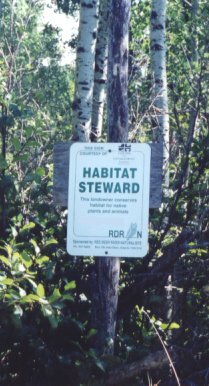 Under this voluntary stewardship program any landowner who left at least 5 acres in a natural state received a Habitat Steward sign to publicly acknowledge their effort and recognize the intrinsic value of natural habitat. The program grew to where more than 120 landowners and some 12, 000 acres from Elk Point to Turner Valley and from Brownfield to Rocky Mountain House were part of the program. In the year 2000, Canada Trust (now TD Canada Trust) became the primary sponsor of the program. This program ran its course and has ceased to exist. RDRN serves as steward for three provincial natural areas: Butcher Creek Natural Area, Innisfail Natural Area, and Sylvan Lake Natural Area. (For a description of each of these, please see Programs->Stewardship. In 1989 and 1990, RDRN again fought proposals to push a highway through the Howse Pass in Banff National Park. The project had the full support of the 25 Alberta Federal Conservative caucus members and Central Alberta Chambers of Commerce. Fortunately the Federal Government did not see fit to allow the road. The issue is again being raised with a recent study partly paid for by the Alberta Government. To close the decade of the 1980’s, RDRN received an anonymous donation of $55,000 to be held by the Red Deer Community Foundation with annual earnings going to the organization. A second $50,000 bequest was paid directly to RDRN. The principal has remained untouched while the interest is used for the activities of the organization. 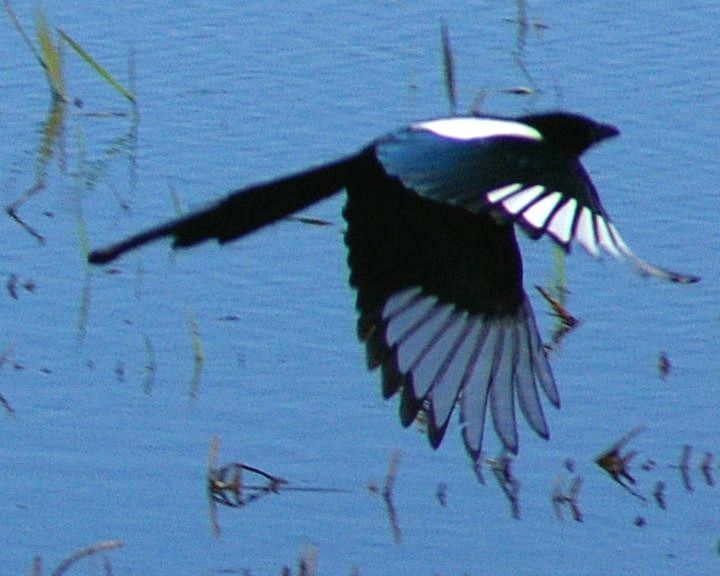 Black-billed magpie. Copyright 2010 W. Heinsen. During the 1990’s, RDRN was directly involved in Vision 2020 hearings, the Red Deer Community Services Master Plan, the Joint General Municipal Plan for the City and County of Red Deer, Red Deer River Corridor Hearings, and the Heritage Rivers project and was trying to convince the City to experiment with constructed wetlands technology. RDRN has been involved in pro-active planning with Parkland Community Planning Services for the Michener Centre lands that surround the Gaetz Lakes Sanctuary in the event that the province decides to sell them. Through this land once flowed and now trickles the main tributary that feeds the sanctuary, Gaetz Creek. Regionally, we have been involved with discussions about Buffalo Lake, Burnstick Lake, Special Places 2000 and helped where we could with the battle the Friends of the West Country waged with Louisiana Pacific/Sunpine. We responded to the Alberta Forest Conservation Strategy and followed the discussions and participated in Parks Canada hearings. The organization was active with the Rumsey Ecological Area, opposed development in the Big Horn, and served on committees addressing water needs in the South Saskatchewan and Red Deer River Basins. We have supported by letter, the Federal Government in its environmental legislation and opposed the “harmonization” push for Provincial Department of the Environment with that of the Federal Government. During the 1990’s, RDRN was revamped and time was spent working on policies and directions for the future resulting in a Policies Handbook (pdf file). In the late 1990’s, several members undertook to revitalize the Habitat Stewardship program. With the donations of Canada Trust (now TD Canada Trust), that task was realized and saw the distribution of new signs for all participants and the establishment of a bi-yearly newsletter. Unfortunately, lack of manpower lead to its second death. 2000 saw the publication of NatureScape Alberta, Creating and Caring for Wildlife in Your Backyard. Authoured by Myrna Pearman and Ted Pike, the book went to a second printing, the first run having sold out by only word-of-mouth advertising. A second edition was printed in 2003 and is available from Nature Alberta. 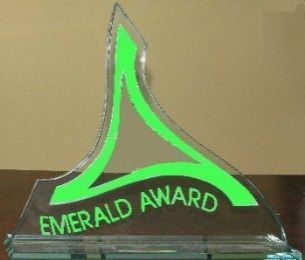 A memorable occasion that same year was the presentation of an Emerald Award to the Red Deer River Naturalists for environmental excellence. From 2001 – 2003, several members undertook to write a Young Naturalists Program. This program flourished for several years, but because it is hard to find volunteers to run it, the program has been turned over to Nature Alberta. 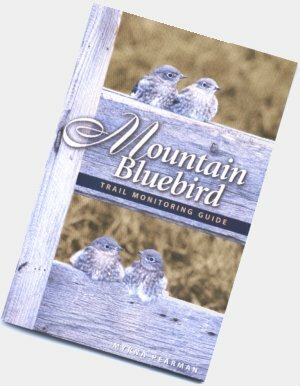 In 2002, Myrna Pearman wrote and RDRN published, Mountain Bluebird Trail Monitoring Guide. This 56-page pamphlet is renowned for its outstanding photographs detailing the development of bluebirds from egg to adult. Anyone wanting to establish bluebird boxes is urged to seriously consider this booklet. It is available from Red Deer River Naturalists by following the link. In 2004, the Kerry Wood Nature Centre announced that their building would be expanded by adding a substantial addition on the south end. Bill Heinsen, treasurer, met with KWNC director, Jim Robertson to explore the possibility of RDRN being included in the expansion plans. Robertson was warm to the idea and at a subsequent RDRN Board meeting, a committee, headed by Eileen Ford, was struck to work with the Nature Centre and to raise the $65,000 required for RDRN’s share. The dream became reality when the addition opened and RDRN, at last had a permanent home. The subsequent years have cemented the relationship between KWNC and RDRN. In 2005, as part of its commitment to environmental protection and to celebrate our close relationship with the Kerry Wood Nature Centre, RDRN purchased and installed solar panels on the roof of the extension of the Nature Centre. $25,000 was raised to make this contribution to the community. The panels are fully operational and generate sufficient electricity to supply the needs of the new section of the building. The Nature Centre later expanded the array to provide even more renewable energy. 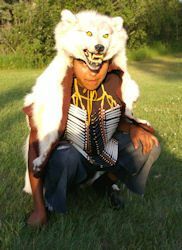 In 2005, RDRN helped the University of Alberta to secure funding for a project to study the wolf populations in the Nordegg area of Alberta. Nate Webb was the chief researcher. The RDRN Centennial Cake. Copyright 2006 W. Heinsen. 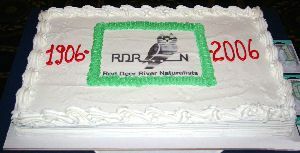 In 2006, Red Deer River Naturalists celebrated its 100th anniversary by hosting the Nature Canada Conference. This highly successful event saw over 100 registrations and featured a large roster of speakers, field trips, and fun events. The theme of the conference was Flowing Through Alberta…Naturally. 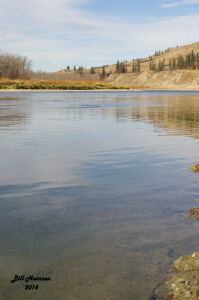 This theme focused on the effect the Red Deer River has on Central Alberta. Speakers focused on a variety of topics ranging from dinosaurs to chickadees to the effect of climate change on the distribution of plants at high mountain levels. Buffalo Dance.at RDRN Centennial. Copyright 2006 W. Heinsen. A highlight was a buffalo bar-b-que that featured a performance by First Nation dancers from Red Deer. Early risers participated in morning bird walks. Others were taken on tours of local natural history hotspots. It was a very successful three days. 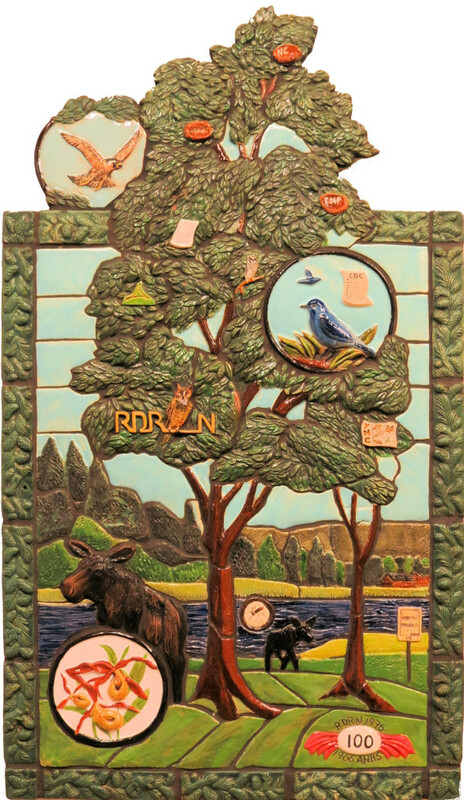 To permanently mark the anniversary, RDRN commissioned a tile mosaic and a stained glass window detailing the first 100 years and allowing for expansion for the next century. RDRN’s Centennial Stained Glass Window Copyright 2008 RDRN. In 2007, RDRN published a checklist of Birds of Central Alberta, available free by clicking here. It, also, is in its second printing and will be available indefinitely. Over the years, RDRN has worked closely with the Ellis Bird Farm to continue our objective of public education. We have installed high definition television monitors so the public can follow the development of birds in their nests, contributed to the school programs by purchasing supplies, and assisted with the establishment of native plant gardens at the farm. One very successful project was the Seed Trial in which packages of flower seeds were purchased at local nurseries, planted according to the directions on the packages and then monitored to see what grew. We found there is little resemblance between the listed seeds and what actually grows. More recently, RDRN has donated $30, 000 to the Medicine River Wildlife Centre to be used toward the purchase of land to be used as habitat. We have also installed viewing cameras at that location so the public can see the animals that are in the infirmary for treatment. We have also donated to other organizations that are in the business of purchasing land for wildlife habitat. Starting in 2009, RDRN has focussed attention on a pair of nesting peregrine falcons in Red Deer. The falcons nest on the top of the Telus Tower in Red Deer, approximately 100 metres above the surrounding terrain. With the help of Telus, RDRN has installed a set of web cameras on top of the tower. The cameras usually start operations in April and continue until the birds fledge. To complement the earlier initiative, The Central Alberta Bird Checklist, a major initiative in 2011 – 2014 was the production of the Central Alberta Birding Trail. It features a map of the City of Red Deer and a separate map of Central Alberta detailing good places to look for birds. Please see our Bird Focus section for more information. RDRN Membership is approximately 200.